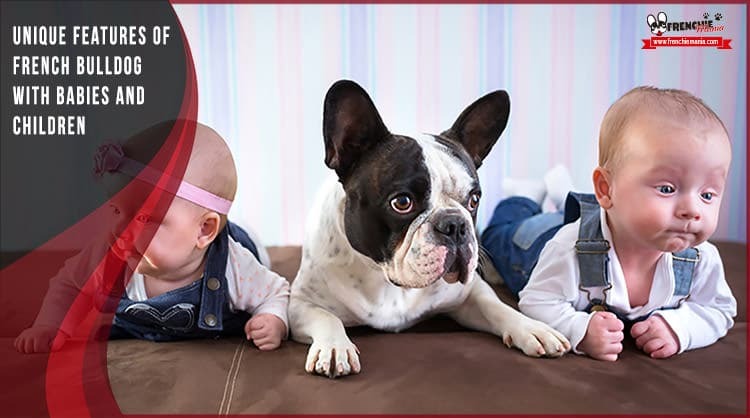 We have already noted on occasion that the french bulldog is a perfect race with children, and if you’re going to have a baby you can rest easy because it is the best protector you may have. Frenchies love kids and are very delicate with them. It is a very recommended breed by experts and vets to have with kids, it is a charming dog, they will become friends from the first minute and will have a friendship relationship and endless love. It is also a small dog, ideal for an apartment, for a big house as well since they don´t need big walks. 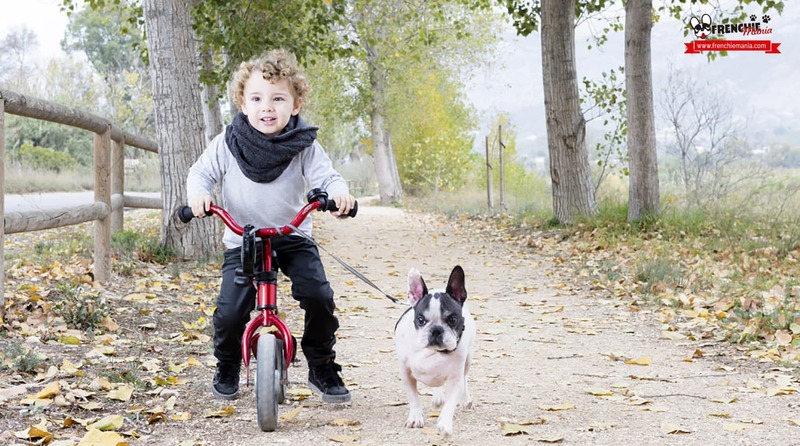 Choosing the french bulldog as best friend of adventures for your children is a very good decision, besides in Frenchiemania we believe that the education of a child with a dog will make him/her a better person and a positive contribution to their education and their behavior with other animals and people, making them from little to be very responsible pet ownership. The french bulldog is a guard dog by nature, protects his family above all. 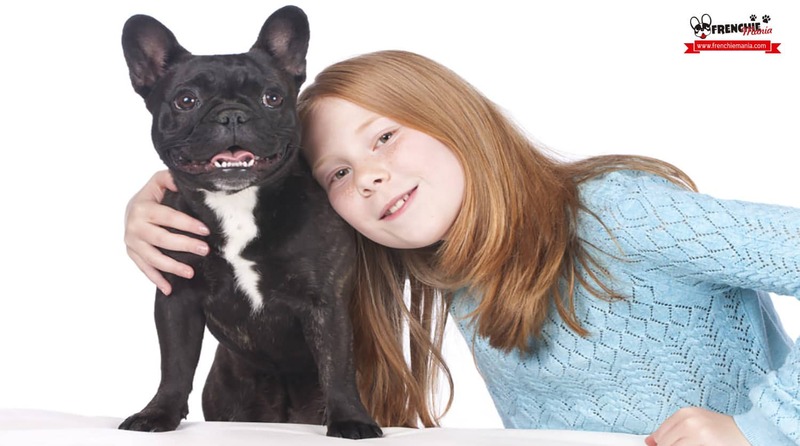 If you have a french bulldog you know that always takes care of you and your family, always looking for the contact. With kids it is the same, plus a lot of fun playing together. With a baby since his arrival home will look to be at his side to protect him and look after him, from the moment that the new family member comes home will not be separated from him or her. That is, if you’re having a baby it is important that you distribute a little the attention since if they are comprehensive, if once was the center of attention now given the circumstances passes to the second plain since the baby will require more attention as logical. It is a very faithful dog, it will never betray you, as he wouldn´t want you to do so. It is so true that if you have to be careful if other puppies approach to your child or baby because as we said before they are so protective that won´t let other dogs come close, even they can be alarmed by other people. That is why it is important that from minute one your frenchie is used to other people and other dogs so he can´t see them like strangers. The dog is loyal by nature, but also his love for the human being has no limits, he´ll lick you even if the hand is empty, will move the tail though you have deceived him, and will always be there for when you need to talk, because they don´t look for anything in return. The french bulldog is known for being the clown of the canine world or the joker of the palace, ¡maybe that is why we love it so much! They are always willing to play and spend a good time as far as you see them, enjoying with their owners and overall with kids is the thing that makes them very happy, because besides it is a very social breed. It is a dog that needs attention but not an athlete dog who needs hours and hours of walking. So at home and park it will be great with kids, playing with a toy or running behind them, both will enjoy mutually. Besides what better plan for your child is playing with their dog rather than with the console or mobile? 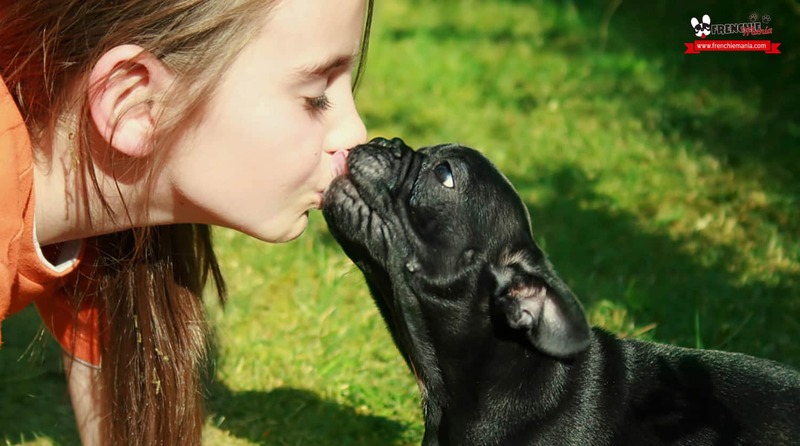 With a baby as well, will play knowing where the boundaries are and smelling delicacy, sure your french bulldog encourages them to crawl and start walking soon. It is a very intelligent race, although many do not believe it. If we educate them from puppies when they are adults will be the best friends for life. They are also big-headed but understand very well. First we must teach them basic commands like sit, lie down and stay still. So with children and a baby will be more than trained and will behave well. In addition, your children can teach new tricks fun together, sure both will learn much mutually. The french bulldog is a very loving dog, if you already have one, you know how cuddly they are, always claiming a touch or a glance. With children they are even more still, constantly seeking affection. 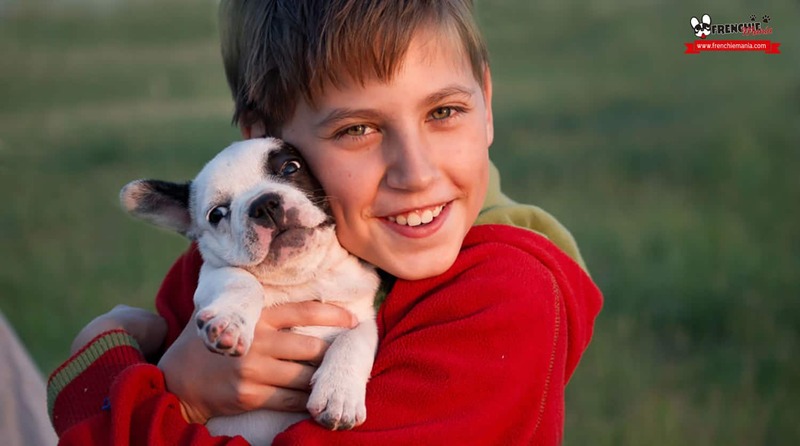 If your children have had a bad day at school sure that when they are with their frenchie will get a little escape and not think about the bad day. Or when mommy and daddy deceive you for having misbehaved, their bulldog will keep them company even they will listen if they need to hear and cry being by their side, because we all know it, they are also fantastic psychologists. Are quiet and patient dogs usually. They know how to wait for their time to walk and care, although if they would want would be claiming it constantly, but they are pure love. They have big patience for example when playing with a baby, will be delicate with any game. They will enjoy playing hours and hours with your kids. You can also plan to adopt an adult french bulldog that for sure will be delighted to be with adults, but always knowing very well how they behave, since some due to the life they had may not get along with kids, and train and be aware of the education of children will be more complicated; and with others, they might already have the experience of being with kids since it is a good decision. 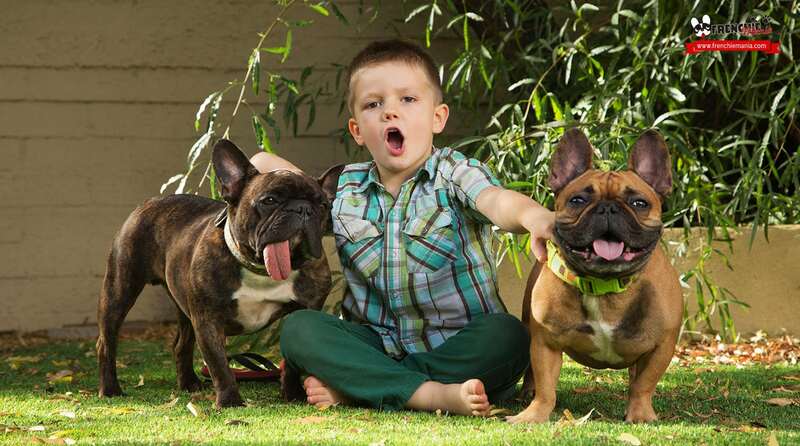 If you have kids and a french bulldog and you want to share your experience we will be gratefull. Don´t forget to leave a comment and share it on your favourite networks.